This is TRS Mung Bean whole, with the green husk. Also known as Green gram, lentils, mung or moong beans, the little green circular-shaped beans - are popular all over the world. One bowl of these cooked lentils will not only help you lose weight, but will keep you full for a long time. Moong beans are considered one of the best vegetarian food products. Uses - They taste delicious as a regular dal or as sprouts. The beans can be soaked overnight, then tied in a moist cloth for 10-12 hours and left to sprout. - Mung bean sprouts can be cooked with the spices, onions, garlic, ginger and tomatoes and can be served with roti, rice, naan etc. - The sprouts can be added to salads and chaats. - They are used in Bengal to make ‘Dal Tadka’ a thick, drier version of the dal, with the delicious addition of a raw egg cracked onto the finished, hot dal right at the end. - They are used to prepare Mung dal chillahs or chilla or pancakes. - They can be used in snacks (the Indian spicy mixture or ´Dal Moth´). Health Benefits - Mung Beans are rich in protein, vitamins and minerals which are good for the skin and hair. 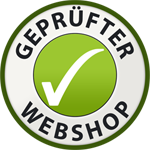 - They provide dietary fiber. - They are believed to be helpful in reducing bad cholesterol. - They are said to be good for diabetics. - Green gram is believed to have anti-cancer effects. Study has shown that consuming these beans twice a week lowers the risk of breast and stomach cancer. - Mung beans sprouts have supposedly been found beneficial for these suffering from high blood pressure. - As Mung Beans contain good amounts of magnesium, they are recommended for people pre-disposed to heart diseases. - They are a good source of protein, thiamin, niacin, vitamin B6, iron, magnesium, phosphorus, potassium, etc. - They contain Vitamin C, Vitamin K, Riboflavin, Folate, Copper and Manganese. - Mung Beans are low in calories, saturated fat, sodium, and cholesterol. Storage: Store the dal in an airtight container, in a cool, dry place. 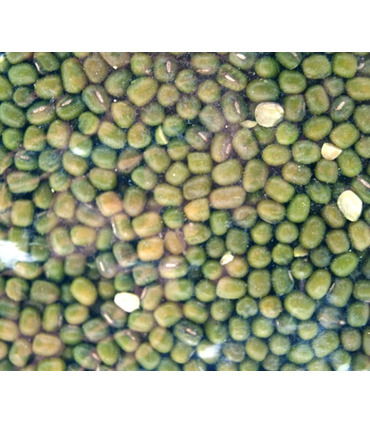 Read more about Mung Beans here . This is TRS Mung Bean whole, with the green husk. Also known as Green gram, lentils, mung or moong beans, the little green circular-shaped beans - are popular all over the world. One bowl of these cooked lentils will not only help you lose weight, but will keep you full for a long time. 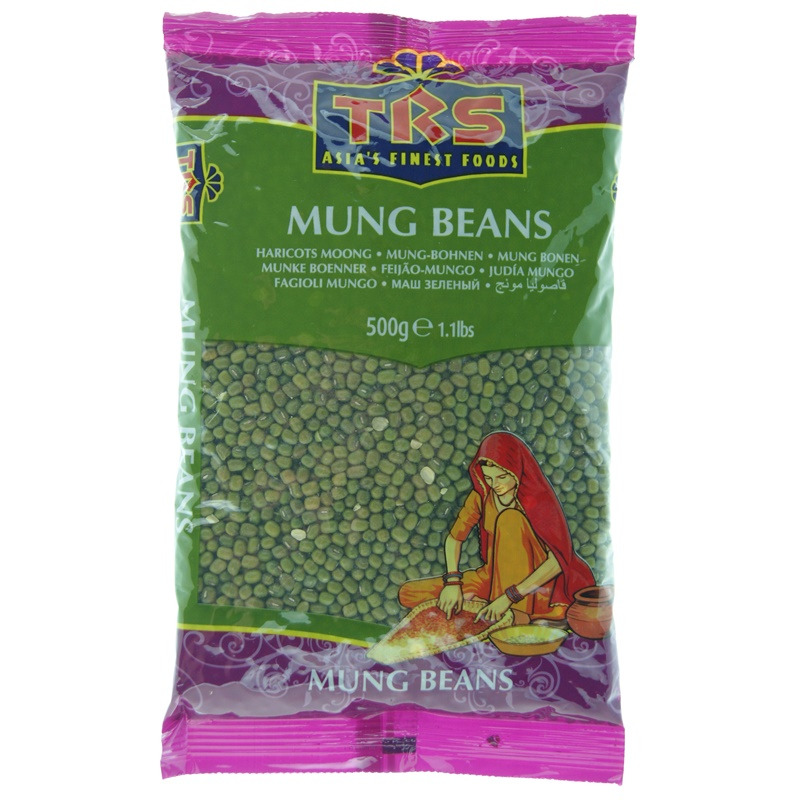 Moong beans are considered one of the best vegetarian food products. - They taste delicious as a regular dal or as sprouts. The beans can be soaked overnight, then tied in a moist cloth for 10-12 hours and left to sprout. - Mung bean sprouts can be cooked with the spices, onions, garlic, ginger and tomatoes and can be served with roti, rice, naan etc. - The sprouts can be added to salads and chaats. - They are used in Bengal to make ‘Dal Tadka’ a thick, drier version of the dal, with the delicious addition of a raw egg cracked onto the finished, hot dal right at the end. - They are used to prepare Mung dal chillahs or chilla or pancakes. 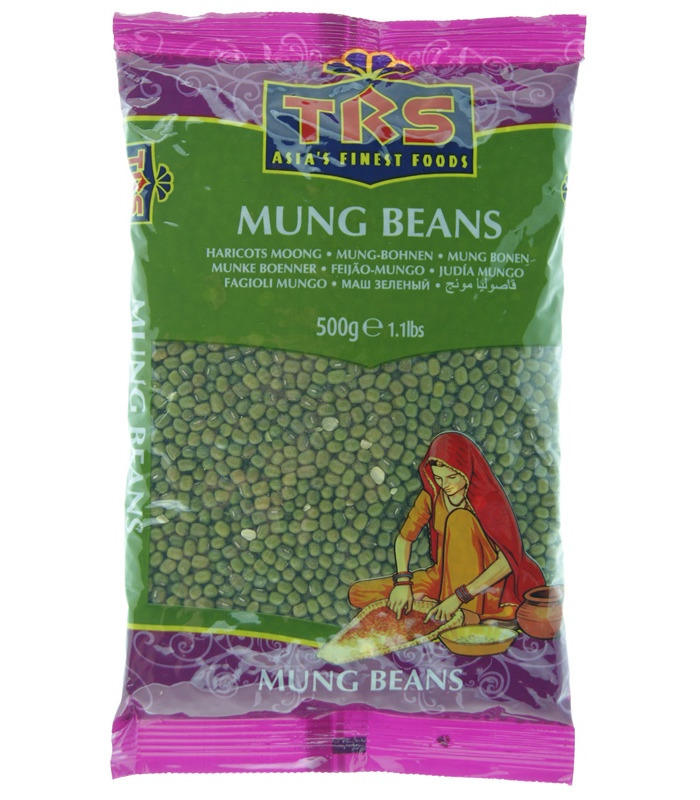 - Mung Beans are rich in protein, vitamins and minerals which are good for the skin and hair. - They provide dietary fiber. - They are believed to be helpful in reducing bad cholesterol. - They are said to be good for diabetics. - Green gram is believed to have anti-cancer effects. Study has shown that consuming these beans twice a week lowers the risk of breast and stomach cancer. - Mung beans sprouts have supposedly been found beneficial for these suffering from high blood pressure. - As Mung Beans contain good amounts of magnesium, they are recommended for people pre-disposed to heart diseases. - They are a good source of protein, thiamin, niacin, vitamin B6, iron, magnesium, phosphorus, potassium, etc. - They contain Vitamin C, Vitamin K, Riboflavin, Folate, Copper and Manganese. - Mung Beans are low in calories, saturated fat, sodium, and cholesterol. 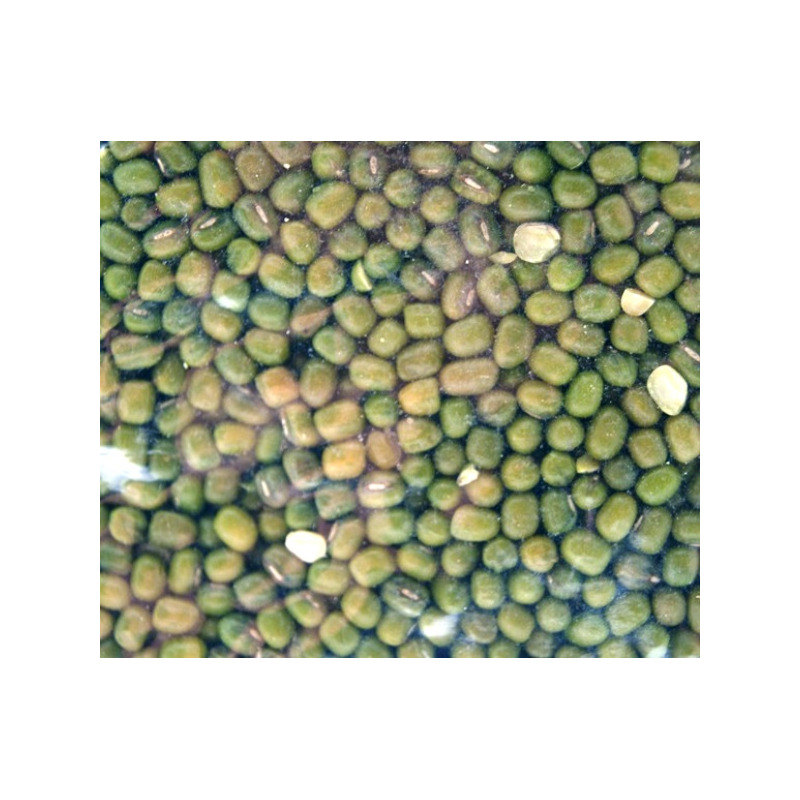 Read more about Mung Beans here.